Learn about the art of glass fusion in a workshop with an experienced, qualified teacher. You'll have the freedom to explore ideas and techniques within a small group to ensure you receive plenty of support in creating your own personalised fused glass designs. You will learn all about glass and use a range of glass fusing techniques eg basic fusing/slumping, inclusions, fibre papers to be able to make coasters, hanging suncatchers or a small dish. You will make 3 or 4 small projects on the day. I am very flexible about your designs so come along with a few images for inspiration and we will discuss how to create your interpretation as part of the workshop. I am happy to run full day fused glass workshops for friends on alternative dates so if there are at least 3 of you wanting to have a fun day out doing something creative and a little different then get in touch. If there are 4 of you a 10% discount will be applied to the price of the workshop. You will learn all about glass and then experiment with a variety of techniques to create a beautiful glass meadow full of seed heads, flowers and grasses. Panel size approx 40cm x 20cms /16 inches x 8 inches and this can be flat or slumped to a freestanding curve. Fused glass jewellery workshop suitable for beginners and improvers alike. You will be able to work with a range of glass materials including sparkly dichroic glass to create your designs. 5 findings are included in the price and you could make jewellery pendants, stud or drop earrings, brooches or cufflinks. A great gift for Christmas for jewellery lovers or perhaps to celebrate the end of exams with a loved one. You will learn all about glass and then experiment with a variety of techniques to create a beautiful nautical themed piece. Panel size approx 40cm x 20cms /16 inches x 8 inches and this can be flat or slumped to a freestanding curve. 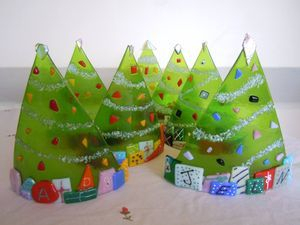 You will learn about glass techniques and make a range of fused glass Christmas decorations including freestanding designs and hanging decorations too. This workshop is a chance for you to make your very own handcrafted and personal Christmas presents. You will be able to choose from a variety of different moulds to create 3D designs and be able to spend some time adding to you hanging Christmas decoration collection. This workshop is most suitable for those who've worked with glass before and will only have a quick recap of glass cutting skills. This workshop will help you to develop your glass design skills. With prior knowledge of how to cut glass and understanding of different techniques you will be able to refine your skills, learn new techniques and create 3 or 4 small projects or 2 bigger pieces on the day. 2D or 3D work can be created and a range of slumping moulds are available. A design focused workshop where you will make a tryptich (3 piece) wall art piece over 2 days. On day 1 you will experiment with techniques, use pattern based art as inspiration, design your wall panel and begin to make it. Some elements of your design may be fired overnight ready for day 2 when you will continue to make your design. You will be able to work with frit, powders, mica, sheet glass & fibre papers to create your piece. As a secondary school art teacher (2001-15) I am happy to teach anyone of secondary age. My youngest glass attendee was 8 and has been with her mum for a day out with a difference making glass bunting. Although I have an enhanced DBR check I request that a parent remains with any young person coming on a workshop.